It’s a big day around here! 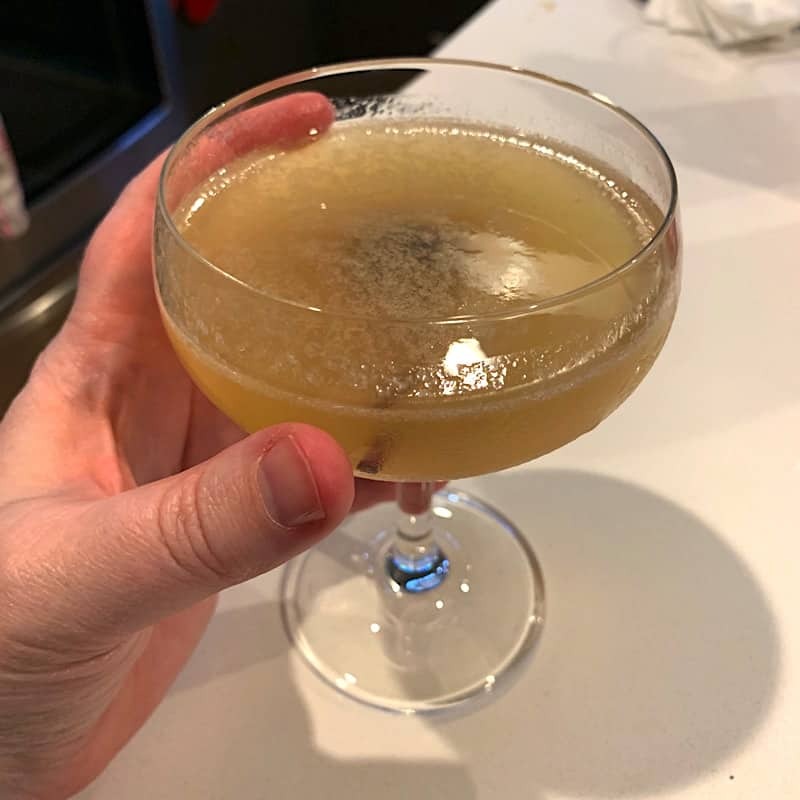 This is the 1000th blog post I’ve written for this site! I can hardly believe I’ve been so dedicated to this site over the past 8 years. I think this is the longest I’ve ever kept one website up and running, though I’ve been a professional web developer since 1998. 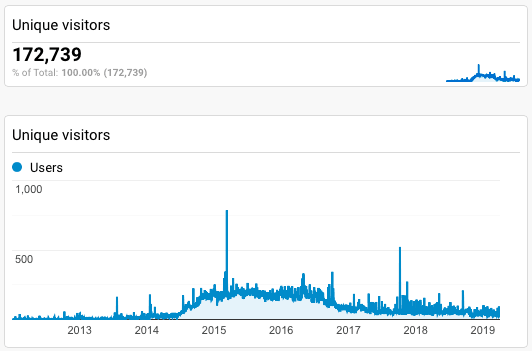 I thought it might be nice to look at some of my stats from the blog to see how things have progressed over the last few years. Then I’ll have a giveaway! 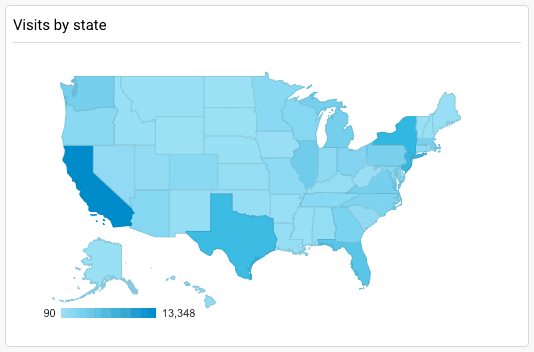 I set my Google Analytics to show me stats from January 2012 to April 2019. I started this blog in August 2011, so this date range seemed to be the best to get some good stats. 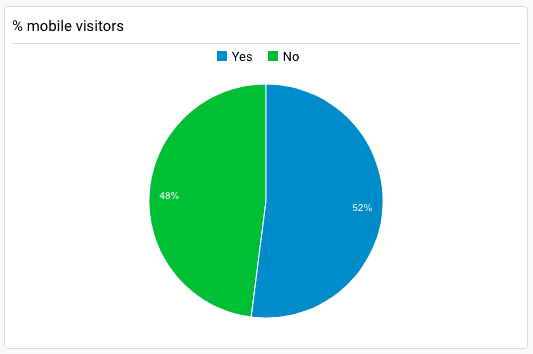 There have been a lot of unique visitors to my website! Over 172,000 people! Of course, I don’t have that many readers, but it’s interesting to think that that many people have seen my name and possibly my work. 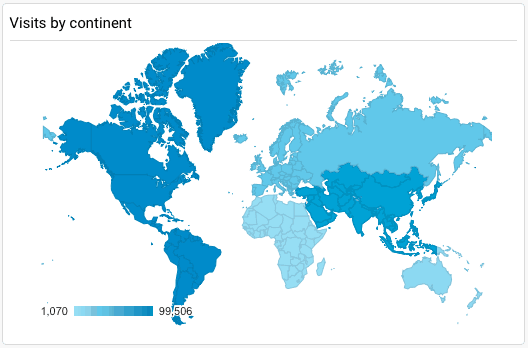 People from all over the world and the US also visit my site. 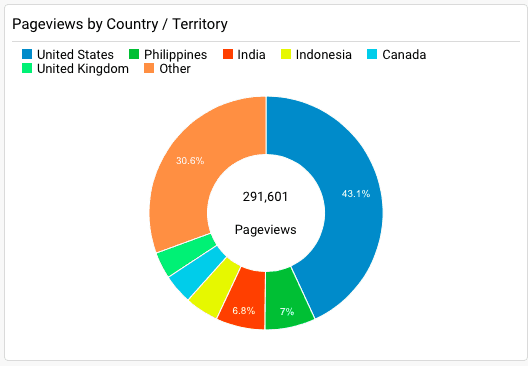 My favorite stat here is that Asia and the Philippines appear to be my biggest visitors. This is my favorite social media stat. You can definitely tell when I started to work hard at Pinterest! And I’m glad my work there is bringing more people to my website. This statistic goes to show that mobile is growing and worth making sure your website is mobile friendly. And remember that these stats are over a whole 7 years. 7 years ago, I was using my phone but not as much as I do now. Now, it’s even more important to optimize your website for phones and tablets. 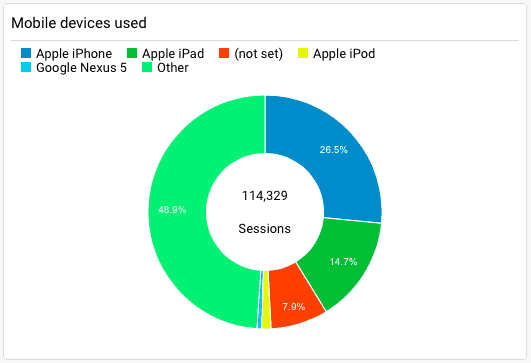 And finally the devices most used to access my site. Apple devices win out. Not surprised. As of today, these are the top 15 most popular posts on my blog! The numbers in parentheses are the approximate views/visits of those posts. See something in that list you haven’t read yet? Drop on by and check out the post! I’ve decided to do a little giveaway and you have a few weeks to enter! This giveaway is open to international entrants as well, so please feel free to enter! First prize is one book of your choice from Book Depository, not more than $25USD, and I’ll have it sent to you.